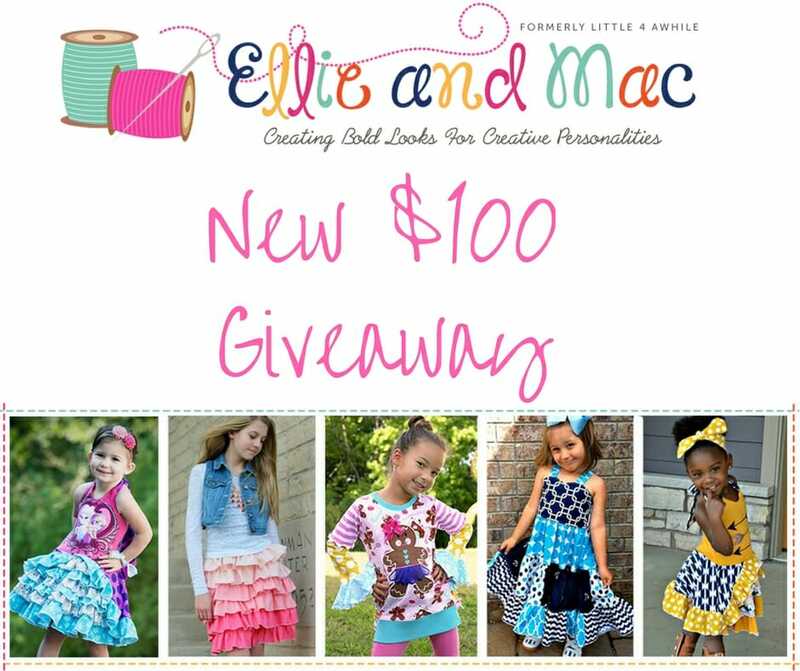 We're delighted to announce a new $100 Gift Certificate Giveaway sponsored by Ellie and Mac, an online store specializing in PDF sewing patterns and embroidery designs mainly for children's clothes. Ellie and Mac has a huge selection and the winner can spend the $100 any way they like for any item in the Ellie and Mac web store. You can read more about Lindsey's story on her website About Us page linked HERE. Lovely patterns. My daughter wants them all, haha! love all of the little girl dress patterns, but especially the Quinn. Wow, these patterns are so cute! All of the patterns are so cute. I like the stacked ruffle pants the best. I really love the McKenzie Layered Dress. My 10yo really wants a tunic made in the Be Confident pattern. That one is super cute. I actually love ALL the girls’ patterns! Was juste thinking about adding a couple new patterns home!! I absolutely love the Rufflicious skirt pattern, and the Reagan halter pattern! I love all of them, but if I had to pick one or two, I would love both of those! Would love to try some print mixing with some of these patterns…..it’s a learning process for me! I love the patterns. They are so easy to follow and are always bright and colorful. I just bought a couple of new ones recently. It’s hard to decide my favorite, so far I love all the ones I already have! Some of their fabric combos make the kiddos look punky. Fun! Also like the tulip shape one. Love the bright colors, my granddaughter would love them. If you have a little girl go for it this site has wonderful patterns and appliques. But I have a little boy and there are about 6 items for boys. I find this is true pretty much everywhere. I love the ombre ruffled skirt. So cute. I think the Tulip tunic is absolutely adorable.